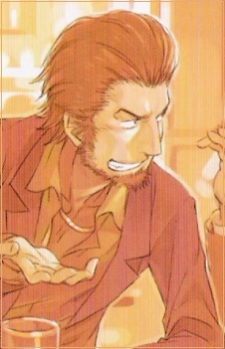 He is Misaka Mikoto's father. His job is "finding the flaws in the world and then correcting them." In SS2, he is involved in the case to do with "gemstones," looking into information about them. He has contacts all over the globe as shown when he received reports of "girls that look exactly like his daughter appearing simultaneously in 50 places around the world," in addition to the plans by various other governments and agencies not affiliated to Academy City attempting to capture all of the gemstones. He also has access to Aleister, shown when he called to confront Aleister's actions, and warned if Aleister tried to use his wife or daughter, he would not forgive him.